Iran’s Foreign Ministry spokesman has denied reports of a bomb threat against and evacuation of the Iranian Embassy in Turkey. In a Monday statement, Bahram Qassemi dismissed as sheer lies news that the Iranian embassy building in Ankara was the target of a suicide bomb attack and that the embassy had been evacuated. “Such a claim and news is a sheer lie, and the personnel at our embassy are present at their workplace in full health and security, doing their daily jobs,” said Qassemi. Earlier, Turkish media claimed that he Iranian Embassy in Ankara had been evacuated after Turkish security forces received a tip about a possible suicide bombing plot. 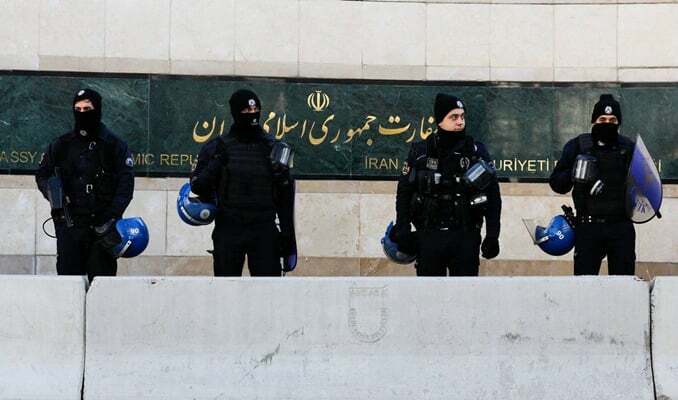 The reports said Turkish police evacuated the Iranian embassy after receiving the tip and cordoned off Tehran Street where the embassy is located.